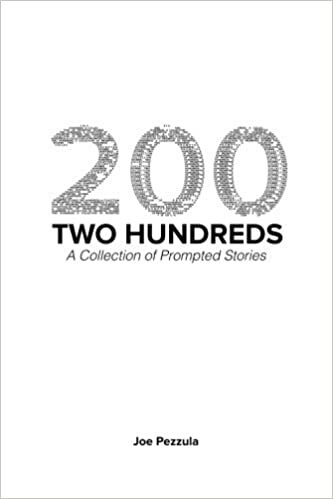 Written in 2016, Two Hundreds is a collection of short stories by Joe Pezzula, prompted by the challenge to limit the number of words or sentences needed to find the heart of each story. Science fiction, history, romance, far and distant planets, and futures unknown, the stories in this collection are rough around the edges, and try to get to the heart of what makes us as people tick. In the town of Haslow Falls evil lurks in the form of Witches long thought dead. Two young Witch Hunters are tasked with the defense of the town’s children while developing skills of their own. 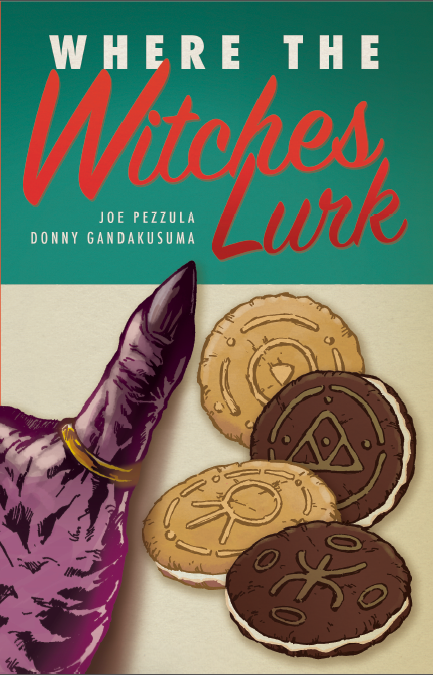 Featuring a foreword from James Ninness, and original poetry by Anthony Pezzula, Where the Witches Lurk collects all six issues of the original comic book by Joe Pezzula and Donny Gandakusuma, and also includes TPB specific original art pieces by Donny Gandakusuma and Daniel Touchet, as well as script-to-page comparisons. REACH is a three-part adventure that follows a family line over three different eras as they pursue a mythical treasure. We begin in the time of King Richard, through to the samurai of the Sengoku Period, eventually ending up in the American West. Three distinct stories, each self-contained, yet connected over the centuries to form a single narrative of warning, a cautionary tale of over- zealous pursuit towards that which might better be left untouched. Welcome to Sanity, Arizona. 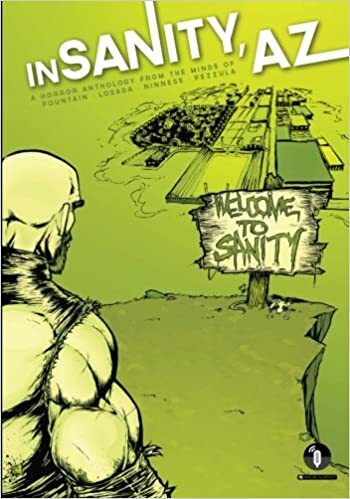 It’s a small town where everyone knows everyone and the natives are happy to live and let live…unless you’re visiting. Forged in the fires of segregation, the descendants of an overrun insane asylum years before have carved out a place for themselves in the middle of the Mojave Desert. It’s a small place with a single road and only a few buildings to speak of, out in the middle of nowhere. The residents have developed their own systems of law, politics, ethics, religion, and morality. Left on their own, Sanity would thrive outside the view of our world, content to live their lives in their own way. Unfortunately for all involved strangers do occasionally find themselves in Sanity, AZ. 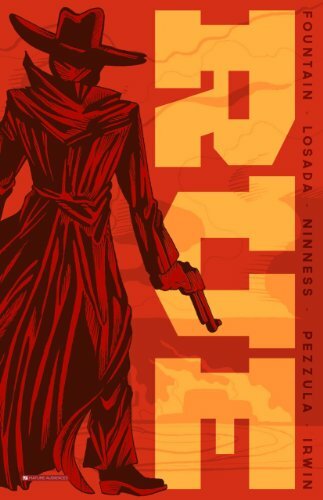 RUE follows a mysterious figure who is targeting and killing everyone involved with the death and destruction of a town called Rue years before. 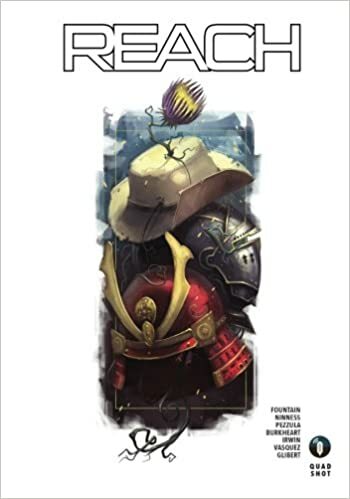 As law and outlaw alike begin to fall, the remaining men responsible for the destruction of the town must put the clues together in an attempt to halt their own demise.